The new school year opened yesterday, welcoming over 20 million students to educational institutions in the nation’s 64 cities and provinces. Top government officials visited some schools on opening day and reminded the teachers of their duties for this year. 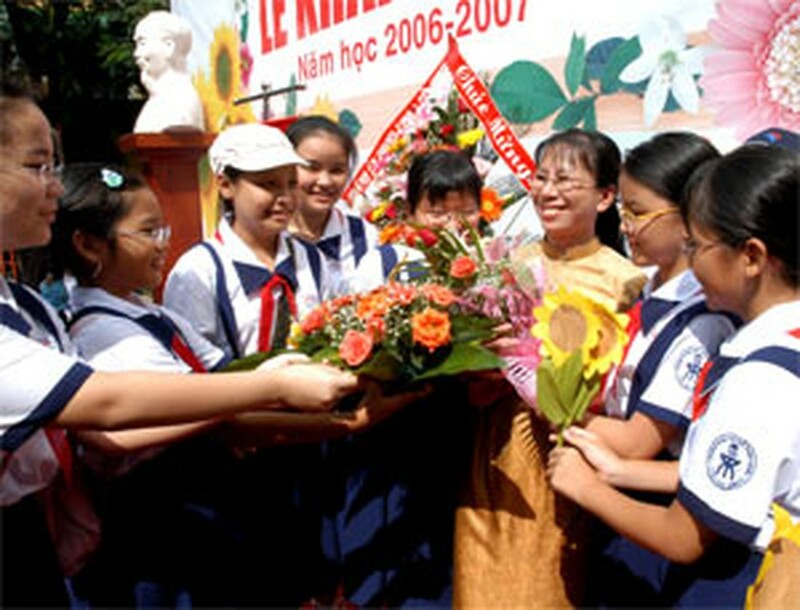 At Le Hong Phong High School for gifted children in Ho Chi Minh City, last year’s top students were honored again in front of thousands of new learners, engendering a competitive spirit and burning ambition in the young audience. Not only big-city students but also all the children in flood-affected An Giang province in the Mekong Delta started their school year yesterday despite the fact that some areas were still a meter under water. 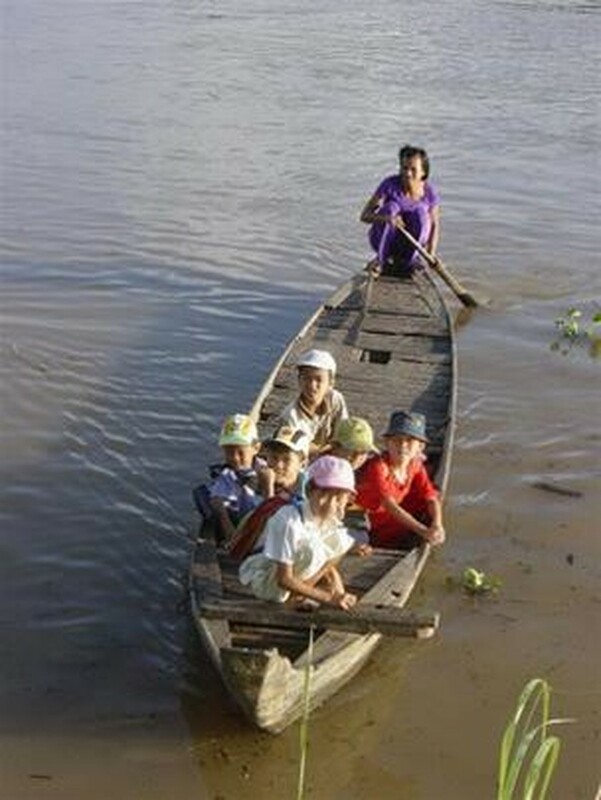 Small boats were the main form of transportation on the first day for hundreds of flood-affected children. All children of school age, or more than 500,000 students, arrived at the province’s schools yesterday. This year, provincial educators will ensure that all students get an education and will abstain from education fraud. In the nearby province of Dong Thap, where more than 300,000 youngsters resumed their education, a large number sailed across the floodwaters to get to school. In Tra Vinh, another poor province in the Mekong Delta, over 210,000 children, one third being ethnic kids, went back to school. Around 500 teachers have been recruited to work in the province’s remote areas. Moving north, Gia Lai inaugurated two more schools for ethnic pupils, who account for half of the 300,000-plus schoolchildren in the central highlands province. The ethnic kids were given nearly 400,000 textbooks and a mountain of notebooks worth VND5 billion. 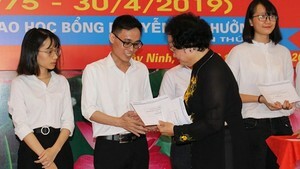 The Gia Lai authorities handed out 300 scholarships of VND500,000 each to make life easier for the best pupils from poor families. 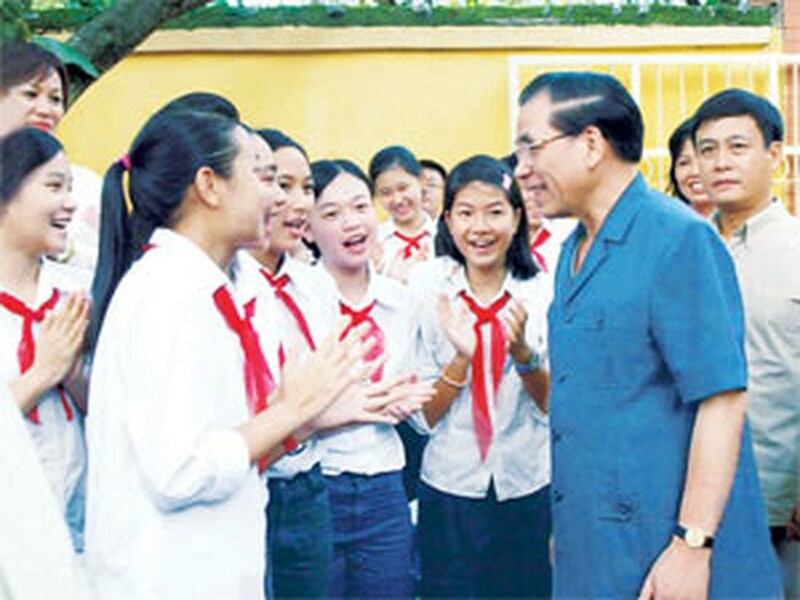 On the central coast, the government of Ninh Thuan province has spent over VND1.3 billion on textbooks for 17,000 ethnic students. Also in Ninh Thuan, 9000 children of the Cham people can now learn their mother tongue from 65 special teachers in 23 elementary schools. In Quang Ngai, the central coast province hardest hit by Typhoon Chanchu, 36 students were given assistance in the form of textbooks, education equipment and fee exemptions. These same students will each get a monthly grant of VND300,000 from the provincial government this school year.